Swimways is a company that understands the importance of giving back. Our employees are encouraged to participate in the annual United Way Day of Caring event every year, and they are also given 8 hours of paid time off to volunteer for an organization they are passionate about. “We just encourage everyone to use the volunteer day,” said Sheri, Human Resource Specialist for Swimways. Some employees will use this time the same way every year for a particular organization, and others wait for unique opportunities to give back. 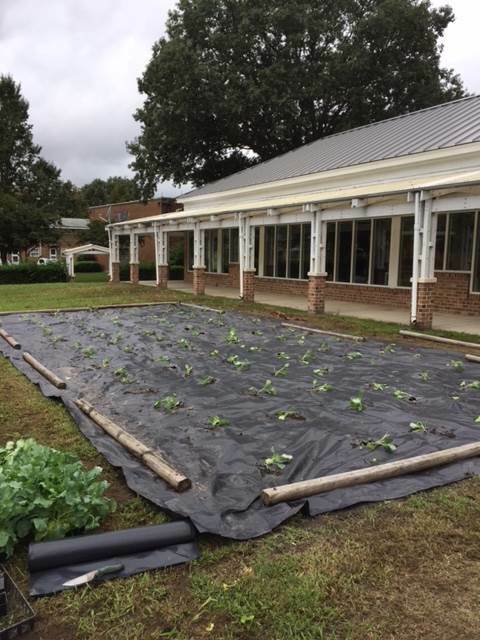 At the end of September, seven Swimways employees took the day to participate in a local volunteer opportunity that involved helping prepare a garden for the fall season. This garden is located in a government funded housing community, and was originally created in order to offer healthier food options for those that live there. While canned vegetables are less expensive than fresh ones at the grocery store, they aren’t as healthy, and poor health can affect one’s success in the workforce. Our team helped pull weeds, till the ground and plant kale, collards and broccoli for the upcoming season. From time to time, chefs volunteer their time to show those in the community tasty ways to cook with these vegetables, specifically recipes that will appeal to children. In the past, Swimways has been involved with other United Way events like Habitat for Humanity, Food Drives, Meals-on-Wheels and more. Swimways is also a big supporter of Operation Smile.